An action packed story of deceit, corruption, and second chances! I really enjoyed reading Meredith’s journey and hoping she was going to make it through the danger she was putting herself into. Great characters grabbed my attention from the start, and it was well written … I personally know the area the story is taking place in quite well, so some inaccuracies in the lack of medical facilities nearby jumped out at me, but to the average person, you won’t notice it. 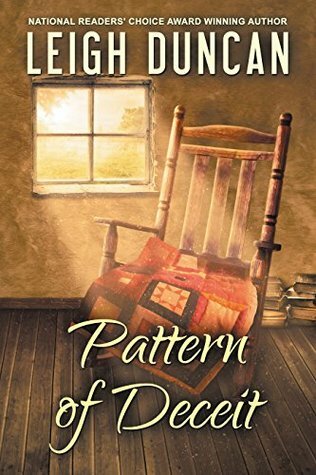 Following the hit-and-run death of her grandmother, Meredith Woodson sets out to find the father that she never knew about. She promised her Nanny on her deathbed that she would go meet him, and she’s determined to do it. Along the way, she gets into an accident and winds up needing medical attention. Dr. Brad Long can’t deny he’s intrigued by the woman that winds up on his examination table. Weird accidents have been happening around the area more often lately and he’s not sure what to attribute them to. When Meredith starts asking questions about the religious sect outside of town, he tries to warn her away from them. Meredith isn’t gung ho to go to “The Prepared” compound, but she doesn’t have any option because she can’t reach her father any other way. She gets the run around and sets out to falsely join the cult in order to approach him and tell him she’s his daughter. Things are not what they seem, and she realizes too late that it’s not going to be an easy in and out to get back out of there now that she’s in. Will she find her father? And will Brad be able to help her get back out, or will anyone even realize that she’s there?